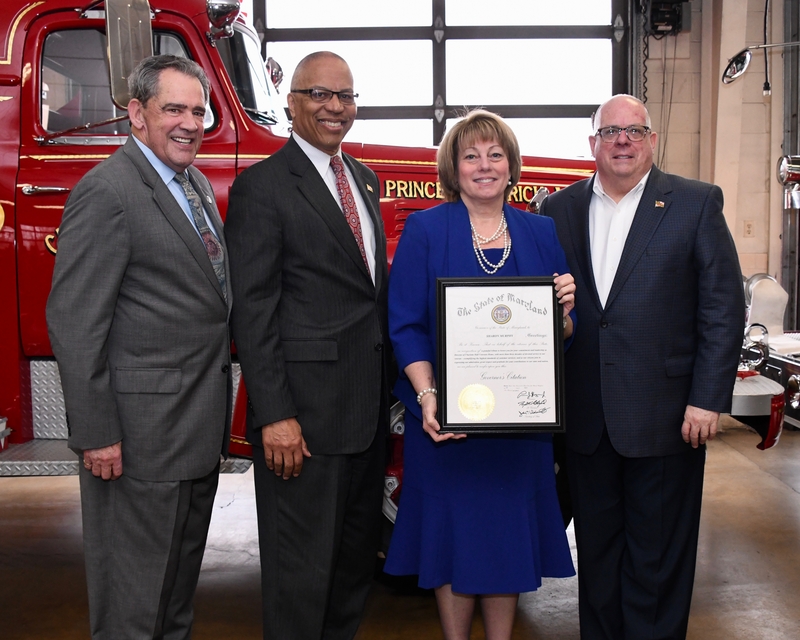 Sharon Murphy received a Governor’s Citation at the Regional Southern Maryland Cabinet Meeting, held at the Prince Frederick Fire House, March 12th. Director Murphy was recognized for her commitment and leadership as Director of Charlotte Hall Veterans Home, with more than three decades of devoted service to Maryland veterans. Pictured Left to Right: Secretary George Owings, MD Dept. of Veterans Affairs, Lt. Governor Boyd Rutherford, Sharon Murphy, Director and Governor Larry Hogan.